8th grader Ellie earned a Superior rating in Dramatic Costumed Monologue. 7th grader Lucy earned a Bronze medal in addition to her Superior rating in Humorous Reading. 7th grader Virginia earned a Silver medal in addition to her Superior rating in Dramatic Poetry. 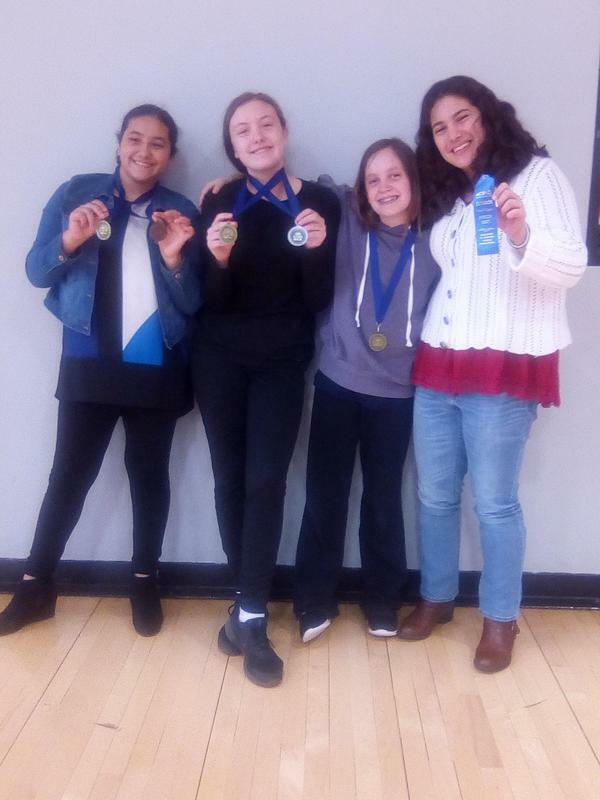 The Puppet Show Team, comprised of 7th graders Brooke, Lucy, Virginia, and Luke (in absentia) earned a Gold medal in addition to their Superior rating with an original scripts written and edited by the team. 7th grader Virginia stepped up to the plate and recited lines for Luke, who was unable to attend due to sickness.